This October Bank Holiday weekend marks the annual Savour Kilkenny Festival . 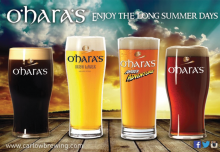 This festival has turned into one of Ireland’s best food festivals and to celebrate O’Hara’s Irish Craft Beers are taking part in a number of events throughout the weekend. Here are some of the events we are looking forward to. This is a foodies dream! 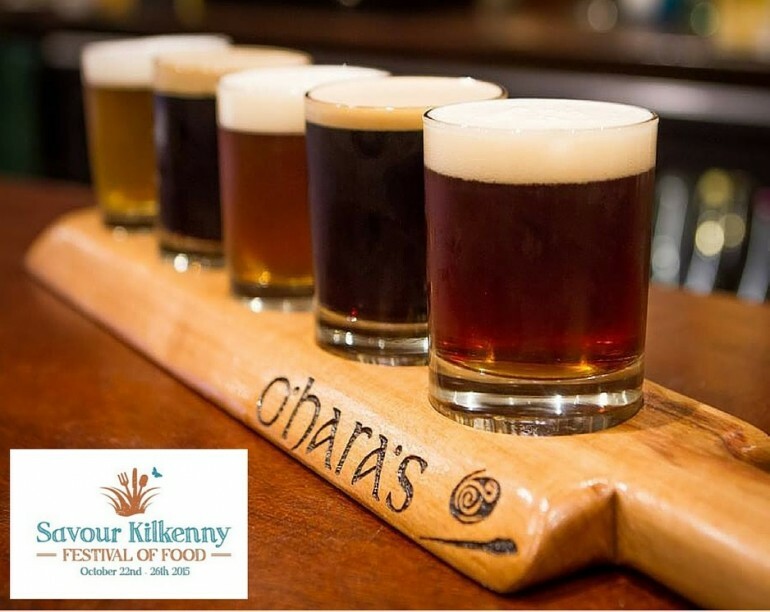 Join the award winning trio of local companies, Carlow Brewing Company, Knockdrinna Cheese and Goatsbridge Trout for a food and beer tasting adventure. 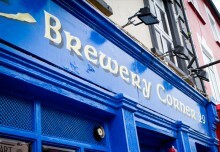 Brewery Corner is the perfect setting to discover more about pairing locally produced craft beer with some of Kilkenny’s most celebrated artisan foods. Sample tray of beer with accompanying cheese and trout samples is included in the price. 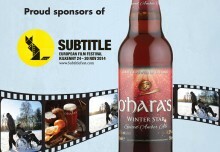 Tickets: €12 which includes a sample tray of beers with accompanying cheese & trout samples. 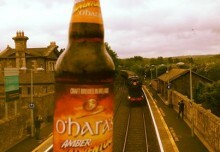 We will be pouring a selection of our beers including favourites like O’Hara’s IPA & Irish Stout. Also we will be introducing our latest beer from the Hop Adventure Series featuring the Galaxy Hop. If that’s not all our Falling Apple Cider will also be available to sample throughout the weekend. On Sunday we keep the taste buds occupied once more with a Craft Beer and Sushi demonstration. Our very own Seamus O’Hara will be on hand to suggest the perfect beer pairings as Fiona Uyema gives a master class on her own sumptuous sushi recipes. So why not come down to savour all this and much more over what will be a brilliant weekend.